The story takes place in 1599 and tells the story of Barnabas Sackett, patriarch of the Sackett clan, and his adventure of coming to America. It is, of course, a work of fiction, but L'amour intermingles facts throughout the book. After finishing the book I decided to read a little about LL and discovered he was a voracious reader and great student of history who loved to include this knowledge in his works of fiction. Anyway, highly recommended and I will be reading more from him in the future. There are plenty to choose from as he is one of the most prolific authors ever. I've now moved on to 1776 by David McCullough. I just started it, but so far seems it will be as enjoyable as John Adams. I"ve been reading some Max Brand lately. Ever had the pleasure? keaggy wrote: I just finished my first Louis L'amour and loved it. You might be interested in his intellectual autobiography, Education of a Wandering Man. A friend briefed our book club on it a couple of years ago. I didn't follow L'amour and didn't care for the movies based on his books, so I was astonished at his incredible personal history and how he developed into a writer. Naturally he was a prolific reader as well, and, in his youth while he was bumming around the world on tramp steamers and working in logging camps, he set out a reading program for himself, which he describes in the book. Basically it was his own Great Books reading program 20 years before the Great Books series was devised. Altogether a fascinating life and mind. D wrote: I"ve been reading some Max Brand lately. Ever had the pleasure? I partook in my yout. Read a bunch of them. Loved 'em. Can't say as I recall a single one, but the memory of reading them and fetching home a new one from the drug store book rack is fond. Brand was one pseudonym for Frederick Faust who also gave us Dr. Kildare! Thanks for the info, I'll be sure to check ti out. D wrote: What about Lonesome Dove? 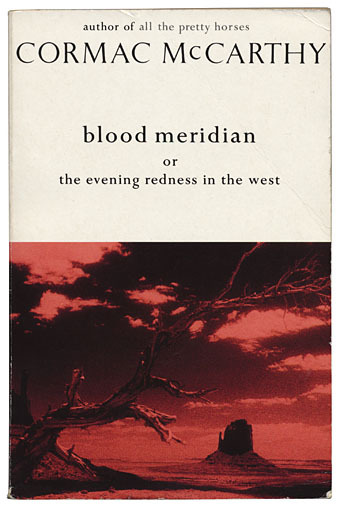 I'm definitely interested in reading some Cormac McCarthy. Thanks for the suggestion.